Emozione Italiana. 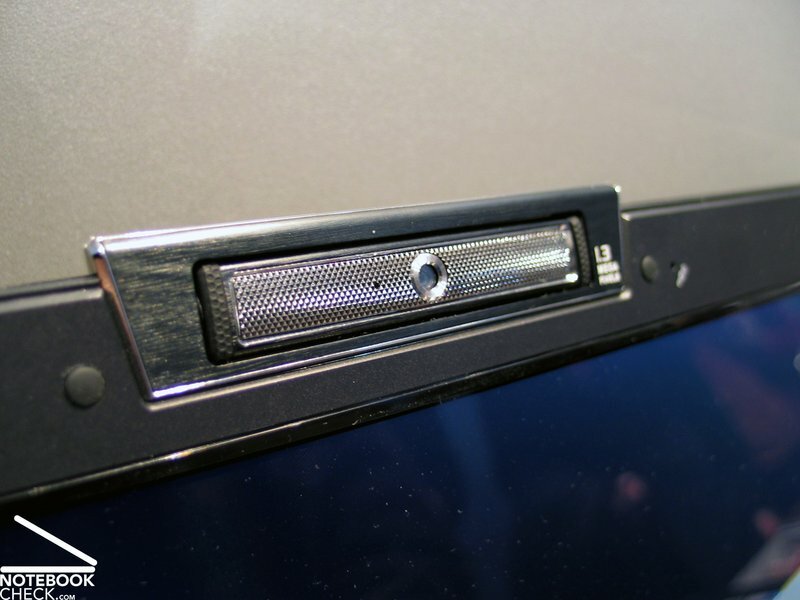 What Ferrari is for Acer, Lamborghini is for Asus - a calling card regarding design and technology. 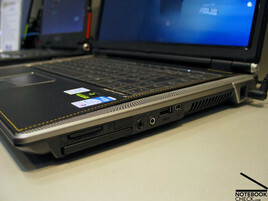 This is consequently put into practice by Asus. Its noble designed case (genuine leather inlays) together with the integration of up-to-date hardware is the leading force of the whole product range. This review is a summary of tests done on-site. We ask for some understanding that some of the measurements could, therefore, not be done. 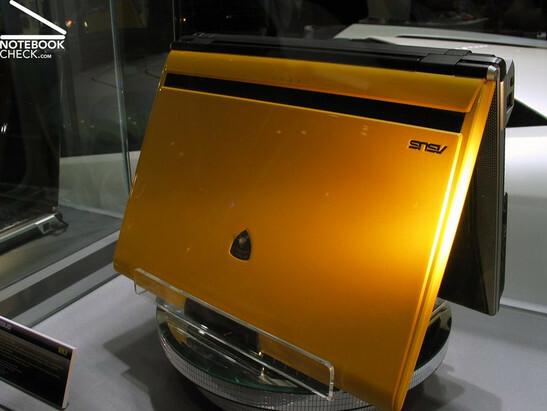 The Asus Lamborghini is available in 2 designs: Typical Lamborghini in yellow, but also in carbon-look with black coated surfaces, which Asus takes special pride in. Both variants are coated with high-quality piano lacquer, which does not only look good, but should also improve durability. 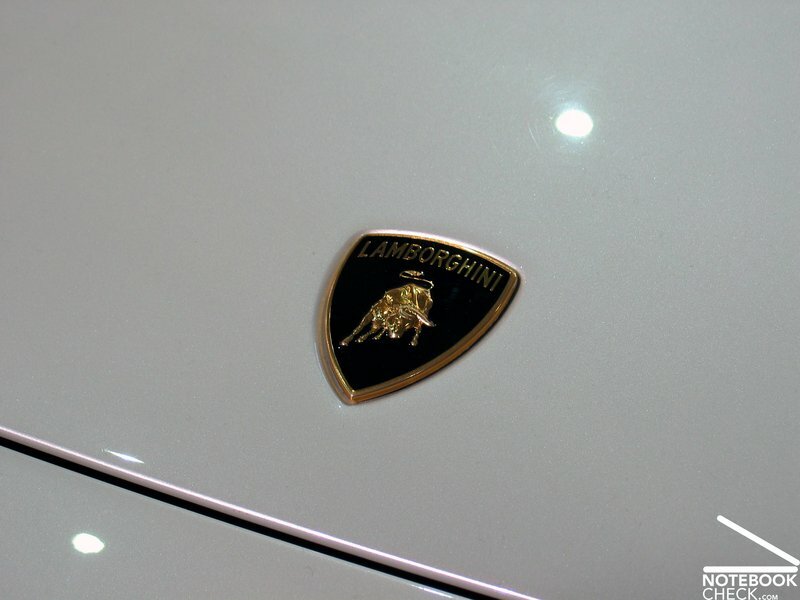 If you do not completely trust the lacquer surface, feel free to put your notebook into the provided Lamborghini bag, and shield it from fingerprints of enviers. The most insistent part of the design is a big leather inlay at the top side of the notebook. 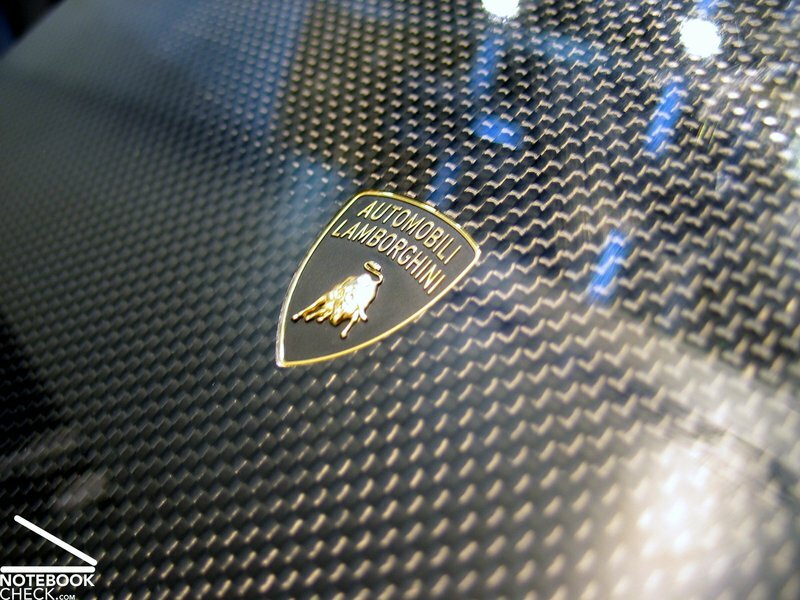 Not only the material, but also the form should remind on a sport seat of a Lamborghini. The leather seems to be absolutely high-quality. Also the white LED indicators left below and right above the keyboard are really fair. The case hasn't any weaknesses at all. The flexural rigidity as well as the resistance against stress or force is good up to very good. 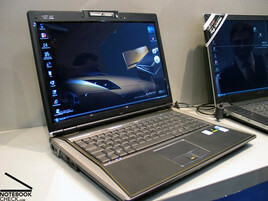 The 15.4 inch display is attached by two hinges, which seem to be somewhat too small. When adjusting the display's position, you might observe a slight see-saw. The interfaces are mainly placed at the back of the left side. 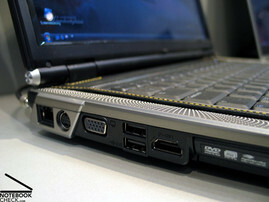 The audio ports, a further USB port, and the firewire port are on the right side near the front. No insistent design is used for the keyboard. 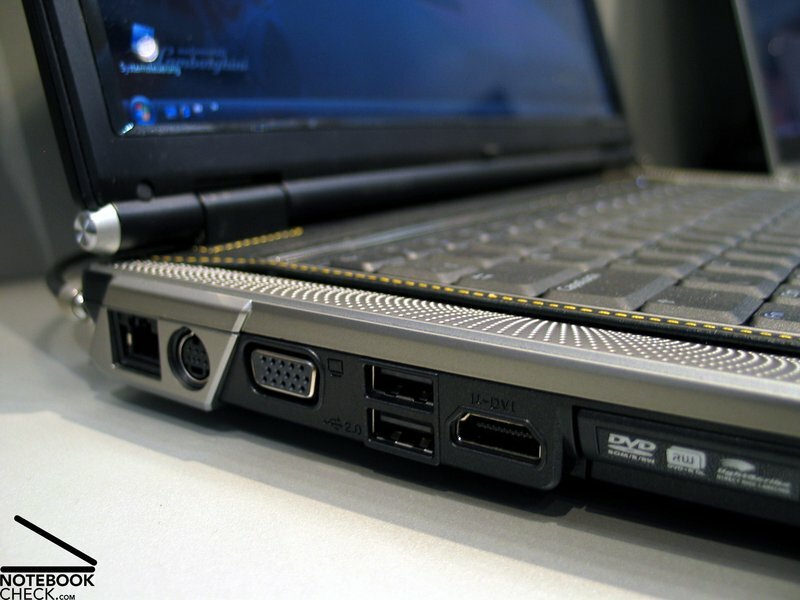 It provides a decent, yet comfortable way to control the notebook. Regarding layout we reproach the keyboard for not being structured. This leads to a key order, which seems to be rather densely packed. Especially, the scaled-down cursor keys make this obvious. The keyboard is fixed tightly in the case and comfortable in use. However, the travel is possibly somewhat short. The chrome modling above the keyboard provides some additional keys. These can not only be hardly recognized, they are also difficult to use and seem to be of less high-quality than the rest of the notebook, because they somewhat wobble. 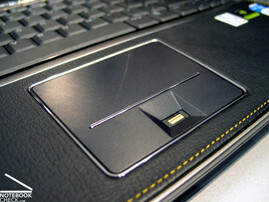 The touch pad is, typical Asus, designed as a continuous surface with both buttons integrated. 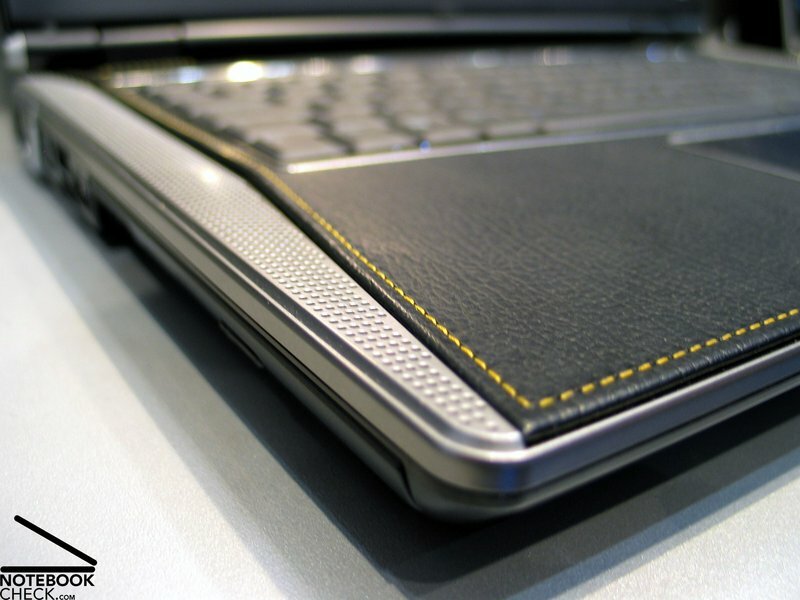 Despite of this, the pad is comfortable in use, its surface has good sliding properties, and it precisely reacts. Its sliding properties are good. Additionally, the notebook provides you with a fingerprint reader, which was placed between the touch pad buttons. The 15.4 inch WSXGA display with a maximum resolution of 1680x1050 pixels seemed to be sufficiently bright at the stand. 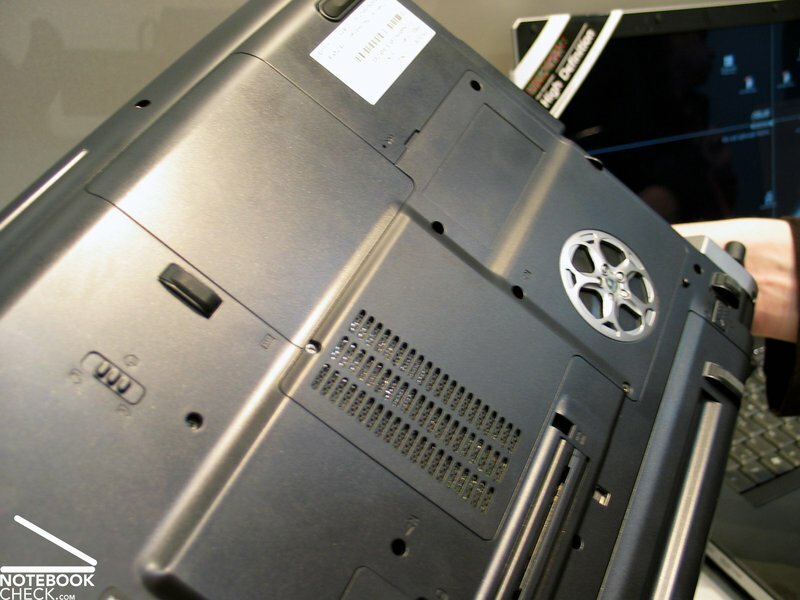 The display is a reflecting Color Shine Glare-Type panel. In general the stability to the vantage point is passable. Only vertically, the colors change, if you look to the display bottom up. Vertically, you can observe the usual darkening and lightening, if your vantage point differs too much from the area of operation. 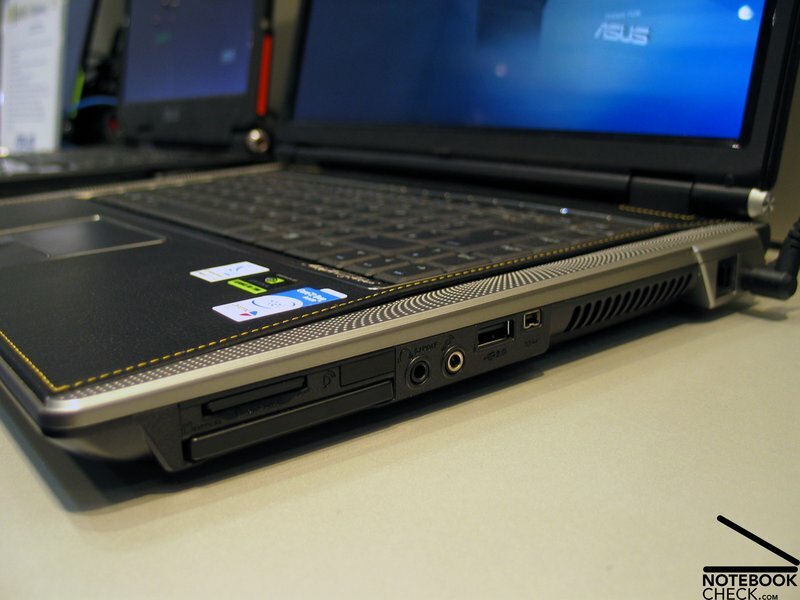 The Asus Lamborghini VX2 is equipped with a Core 2 Duo T7400 processor with 2.13 GHz and a Geforce 7700 video card with 512 MB VRam, which is a first-class equipment considering it is a 15 inch notebook. 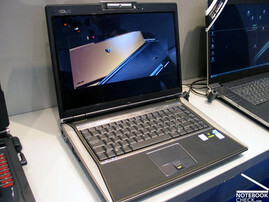 Furthermore, the notebook comes with 2GB memory and a 160GB harddisk with 5400 revs. The surface temperatures did not show any anomalies on-site during running idle. We estimate that it is around 40°C at the right side of the slightly warmer bottom side. The fan ran slowly and even under load there was nothing striking. 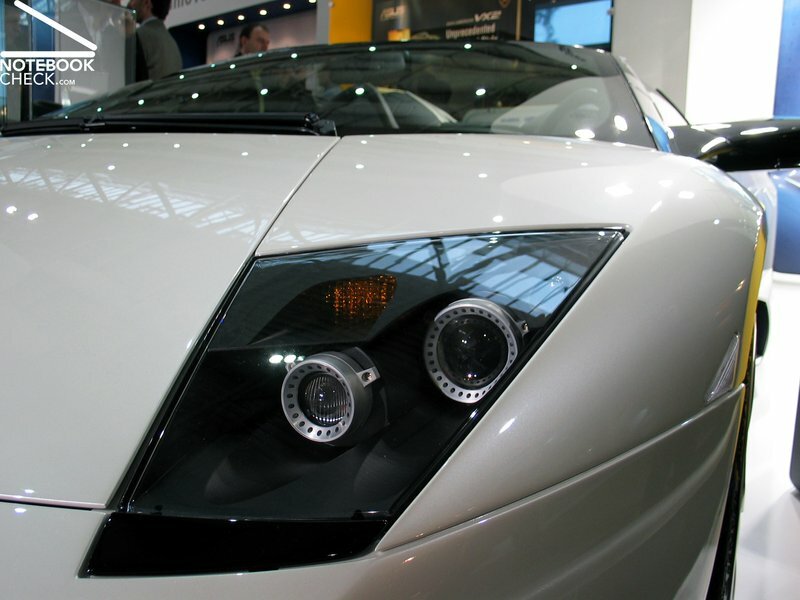 The Lamborghini VX2 is equipped with a 4800 mAh 8-cells lithium ions battery,which is presumably not capable of providing power for a long time. Considering comparably equipped notebooks we assume that the runtime of the VX2 is between a minimum of about 1 hour and a maximum of 2 to 3 hours. Even for Asus the cooperation with an Italian noble car brand seems to be worth it. In the fields of design and layout you can hardly find any weaknesses. 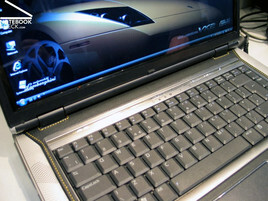 Especially the leather hand ball support of the Asus Lamborghini VX2 supports the high-quality appearance. The workmanship is alright, too. Flexural rigidity and pressure resistance are without any weaknesses. However, the hinges could be somewhat robuster, however, they have to prove their durability over the years, anyway. The input devices are alright, even if the layout had to take a back seat in favor of a harmonious design. An important hint: The supervisor at the stand got teary-eyed, as he affirmed that all components are packed in genuine! velvet. 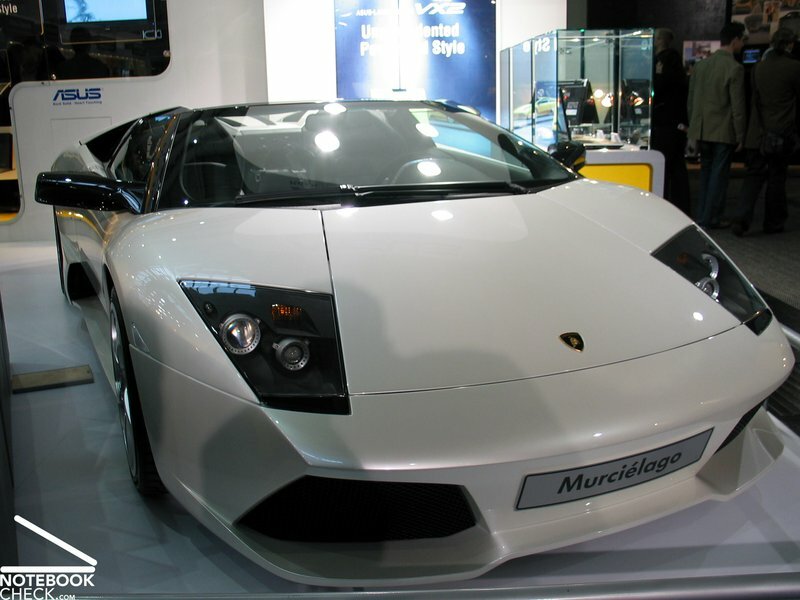 So, the provided mouse, and a touch pad in Lamborghini-design are only minor matters. 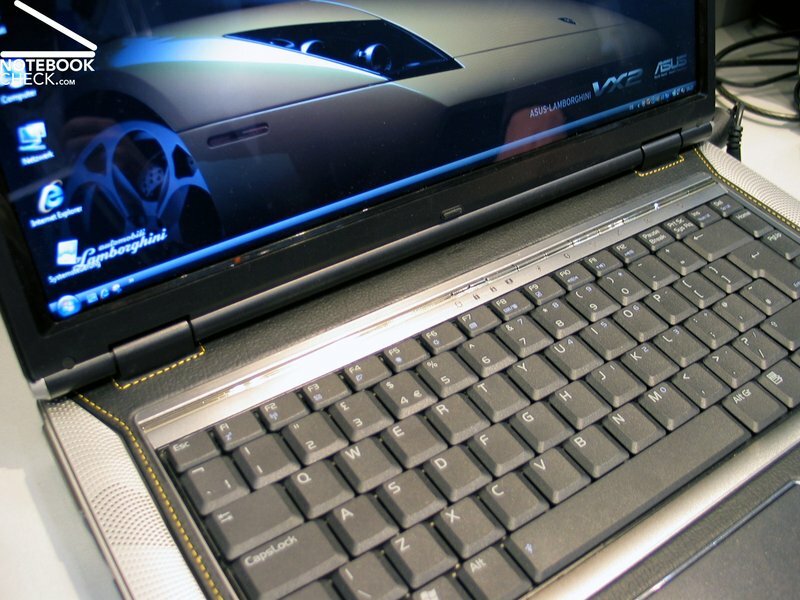 So, there are already two noble car brands, which are represented in the notebook market. Presumably, it won't take long for further cooperations. 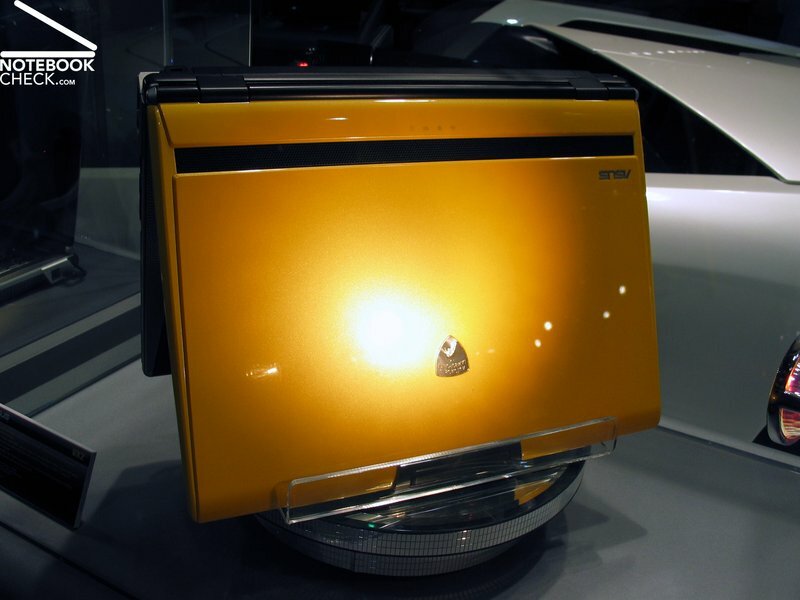 Porsche design, but also Pininfarina, could possibly come into questions, because the stand for first-class design and top sells in the automotive industry. 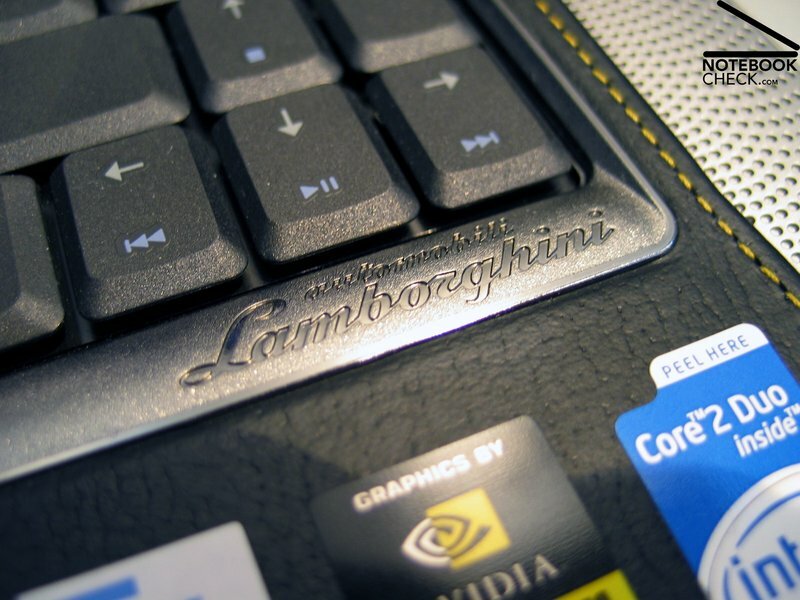 The Asus Lamborghini VX2 with genuine Lamborghini seat leather. 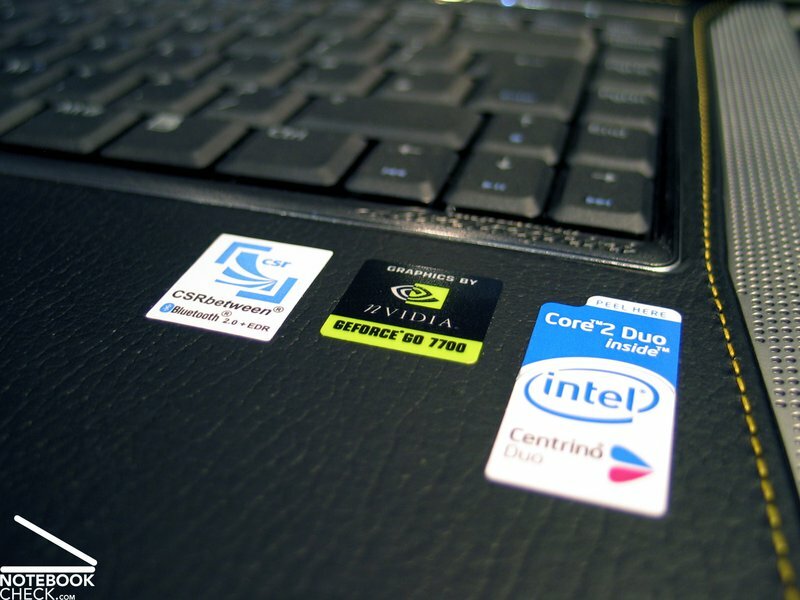 The performance is alright: Intel Core 2 Duo CPU, and Geforce 7700 video card. An accessory seen more often nowadays: Webcam. Even the bottom side is "designed"